Sharon Zinger has told of her personal experience in taking care of a son with special needs during an event at the home of Australian Ambassador to Israel, Dave Sharma. Sharon, an anaesthesiologist, told of her personal experience in taking care of a son with special needs during an event at the home of Australian Ambassador, Dave Sharma, last week. The event was held in honour of the Malki Foundation (Keren Malki), founded by Australian expat Arnold Roth. The Foundation was created to commemorate Arnold and Frimet Roth’s daughter, Malki, who was killed in a terrorist attack at the Sbarro pizzeria in Jerusalem in 2001, aged only 15. “My son is now in a regular Grade 5 class” announced Sharon Zinger and not one of the 70 guests was left with a dry eye. When Sharon’s son was born she was advised by a neurosurgeon that only with intensive therapies his condition may improve. After funds from the HMO ran out, and after having spent all their own money, the family discovered Keren Malki and they have been by their side ever since. 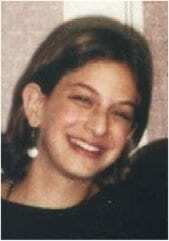 Malki Roth’s family refused for her to become another statistic. And thus they established the foundation – a legacy to the care that Malki took of a sister whom she adored, with special needs. Fourteen years have passed and the Malki Foundation has improved the lives of several thousand families from every walk of life since then. One of the challenges faced by the families is that severely disabled children get sent back to their families, sometimes after months of intensive treatment in hospital, and need to get therapies close to home. For families in remote communities or in the periphery, no therapies are available. Keren Malki’s solution, unique in Israel, is to hire therapists in three fields – speech, occupational and physical – and provide this essential care, at the foundation’s expense, to the homes. Many of these are volunteer doctors and therapy specialists. The Malki Foundation programs aim at empowering the families and Sharon Zinger’s story is just one of many of their successes. Much of the foundation’s funding comes from friends and family in Australia as well as expats in Israel so the guests felt very much at home at the Ambassador’s residence. Sharma and his wife, Rachel Lord were honoured to be able to show their support for such a worthy cause and the Ambassador expressed his gratitude to the foundation for their generosity of spirit and deep commitment in helping others in need.